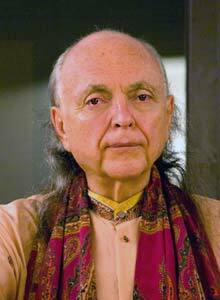 Avatar Adi Da Samraj was born in 1939 on Long Island, New York. He describes His earliest Life as an existence of constant and unmitigated Spiritual "Brightness". His observation, still in infancy, that others did not live in this manner moved Him to relinquish His Free State and discover (even in His own mortal body) why human beings suffer and how they can transcend that suffering. His quest led Him to a confrontation with the bleak despair of post-industrial Godlessness and to a detailed examination of the workings of subjective awareness. As His quest continued, it led to discipleship in a lineage of greatly accomplished Yogis, to a period of intense Christian mysticism, and finally to a Re-Awakening to the perfect state of "Brightness" He had known at birth. Avatar Adi Da's Re-Awakening to His own egoless Condition was an Awakening that had never occurred before in human history. It was the first time that pure egoless Divinity was perfectly communicated via a human body. This unprecedented Event initiated the 28-year period of Avatar Adi Da's Teaching-Work. During His Teaching Years, Avatar Adi Da worked directly with thousands of people who approached Him as Divine Heart-Master. He wrote thousands of pages of Revelation and Instruction. He spoke countless hours in face-to-face dialogue with His devotees. And He began an artistic Revelation (of primarily photography-based imagery) that is the visual equivalent of His Spiritual writings and talks. He created an entirely new culture and Way of life — the Way of devotional and Spiritual relationship to Him — to which He gave the name "Adidam". While He has embraced the human condition, Avatar Adi Da's State of the "Bright" always remains untouched. Throughout His early-life and Teaching Years, however, Avatar Adi Da's submission to human suffering was marked by a series of profound death-like and near-death experiences. The most significant of these experiences and Events are chronicled in the following pages. Because of His untouchable Divine Nature, and His concrete experience and Yogic death Events, Avatar Adi Da's Spiritual authority to Speak about death is unparalleled. I have suffered this fear of death. I have endured its pain and Gone Beyond it. I have Revealed the Truth — by dying, while alive, to Realize. People should come to Me for My Blessing, Which is for the sake of Divine Self-Realization, Beyond this mortal suffering.